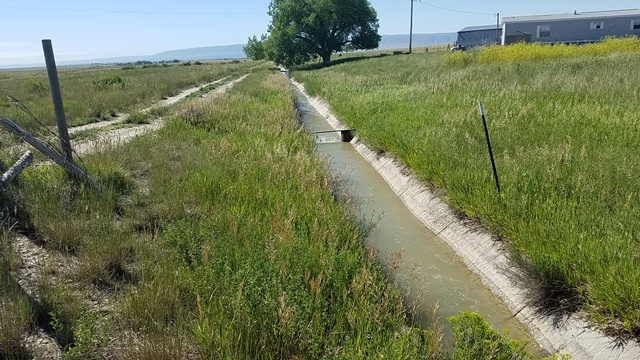 The Casper-Alcova Irrigation District (CAID) hired WLC to design improvements to two different irrigation laterals, 174 South and 256-21R. WLC started this project in 2015 with a conceptual design and cost estimate as a basis for applying for grant monies. Installation of the pipelines will allow retention of more irrigation water that was previously lost to channel seepage and evaporation. The pipelines also help mitigate the transfer of naturally occurring selenium from the soil to other bodies of water. This section of Lateral 174 South replaces approximately 3100 LF of open concrete channel with plastic pipe. 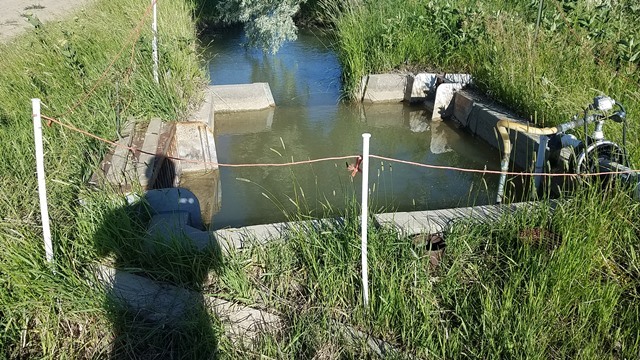 The design includes an automatic spill structure at the beginning of the pipeline to eliminate an existing structure that would overflow and spill into adjacent properties. The pipeline is designed to convey a maximum of 22 cfs and consists of 27”, 21”, 18”, 15”, 12”, and 8” plastic irrigation pipe and has nine 8” turnouts. Each turnout is designed to deliver 2 cfs. The section of Lateral 256-21R replaces approximately 3500 LF of open concrete channel with plastic pipe. The pipeline connects to an existing concrete headwall on the main canal. The pipeline is designed to convey a maximum of 28 cfs and consists of 30”, 24” and 18” plastic irrigation pipe and has four 8” turnouts. Each turnout is designed to deliver 2 cfs. The new pipeline will connect to a previously installed 18” pipe. WLC prepared bidding documents for the procurement of materials for the project and administered the contract for these services. The CAID performed the installation of the improvements. 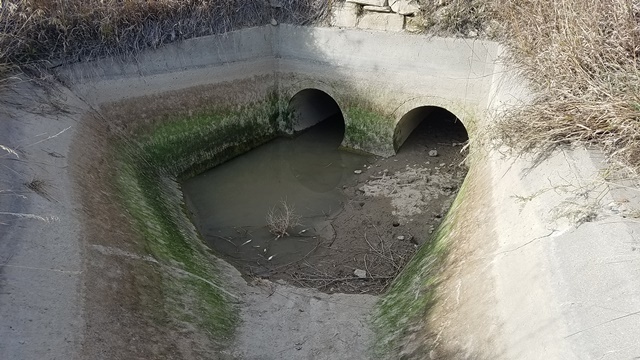 The funding for the project was partially provided by the Wyoming Water Development Commission and the Natural Resources Conservation Service as part of the North Platte Selenium Remediation Project.